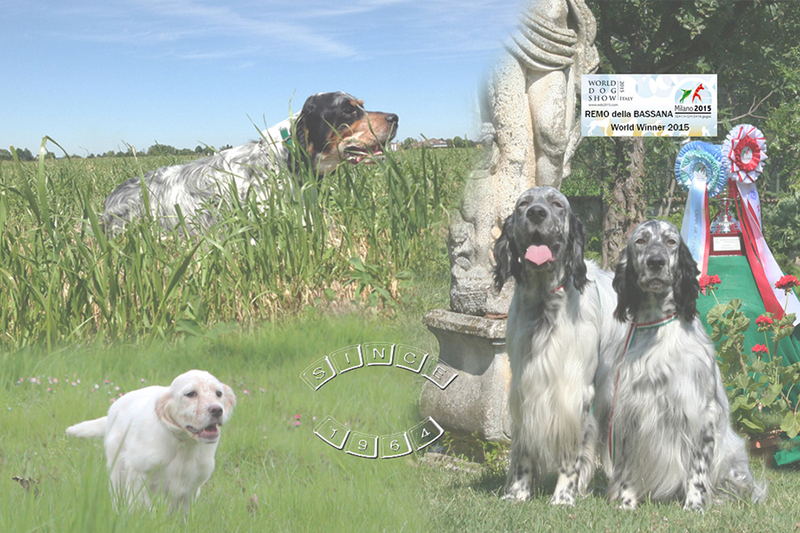 Bassana kennel is the only English Setters breeder (the most common race known and appreciated in Italy) that has steadly produced setters able to compete at highest levels, both in dogshow both in Filed Trials. Since 1964, this breed is selected in order to offer an English setter worthy of the name for the best satisfaction in the hunting activity, but not only! Hunting is evolving and the auxiliary is an element that should characterize such passion. His character BALANCED, passionate and sweet work within the walls of the house makes it even ideal companion in everyday life.